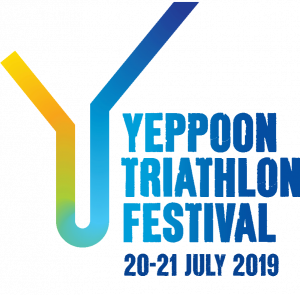 There’s more on offer during the Yeppoon Triathlon Festival than just the drawcard feature Kraken 102 race! The Fitzroy Frogs Super Saturday is a great time to soak up the relaxed and welcoming local atmosphere, featuring fun and competitive kids events and a social corporate duathlon. The Kids Aquathlon is a fun event with kids aged 10 – 12 participating in several fully supervised beach run and ocean swim events. A KIDS ONLY event the Aquathlon is a great chance for the whole family to get on the beach, have fun and be involved. Registration available online now or on the day, times to be advised. Register here. The Junior Duathlon is a great event for families with younger kids aged 3 – 11 participating in fully supervised run and bike/scooter events on the closed-off Anzac Parade. The corporate duathlon is a non-competitive fun event that allows businesses to show off their community spirit. Corporate uniforms, mascots or fancy dress are encouraged. No bikes involved in this event, just scooters and running. This event is meant to be entertaining whilst allowing businesses to support the YTF through their registration.